The Howard Scott Gallery in Chelsea NYC is currently exhibiting a selection of Charles Thomas O’Neil’s recent abstract paintings. 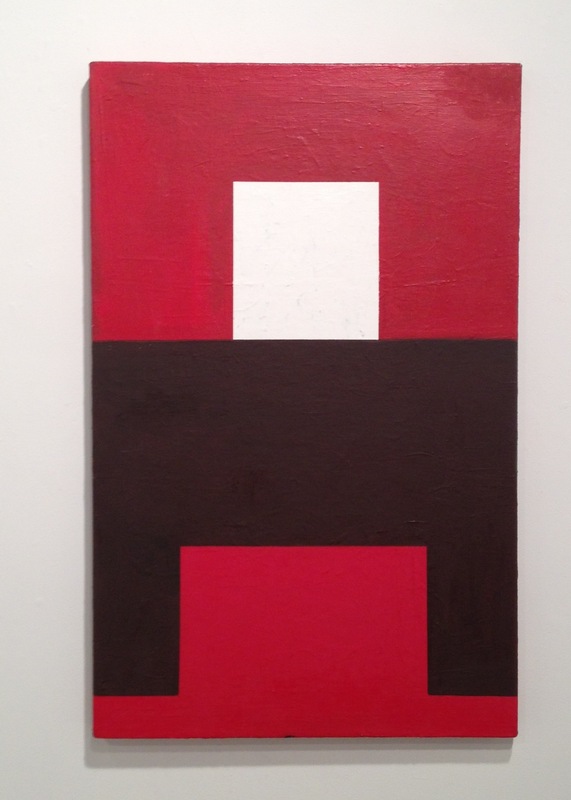 The painting “Untitled 2740” (2013) has a vertical line of reflection symmetry running through the center of the canvas. The top section of the features a rust colored bridge-like shape enclosing a white rectangle. The bottom section of the painting has a variation of the bridge shape in dark grey. 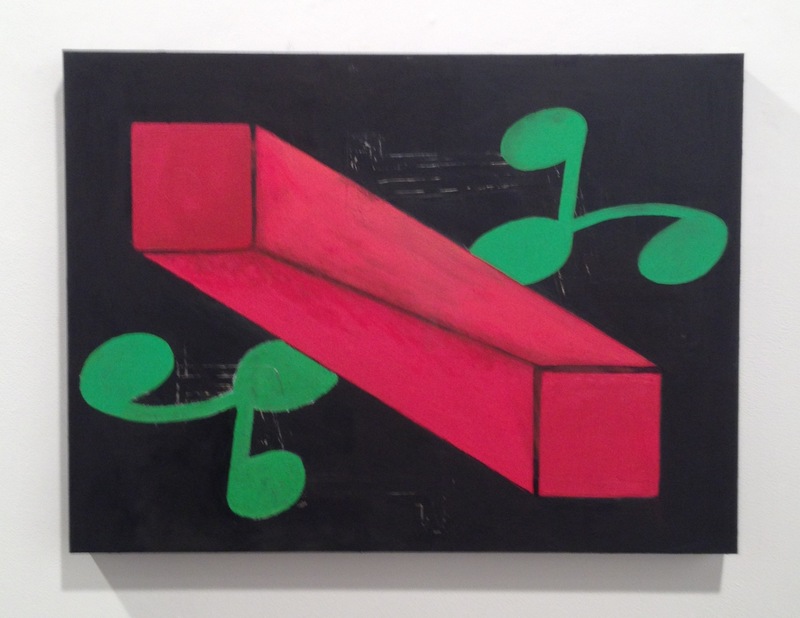 The oil painting on panel “Untitled 2741” (2013) is a 2-D rendering of what appears to be a 3-D impossible object. It looks like a rectangular bar with square ends positioned so both ends are visible to the viewer. This work has 180 degree rotational symmetry. O’Neil’s geometric designs are enhanced by his use of saturated colors that immediately draws in the eye of the viewer. I also appreciate his use of visible painterly strokes which keep the work from looking flat and static.